Affordable homes can be modernly chic – and green too! 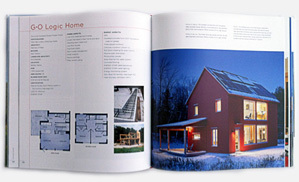 – as recycled shipping containers are becoming the next building blocks of architecture. 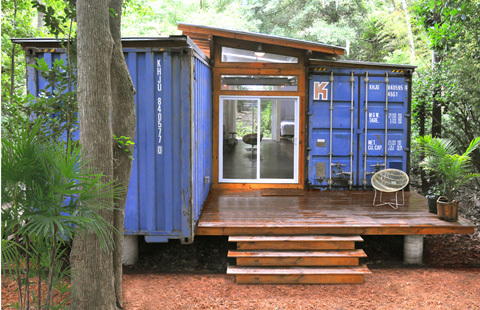 Check out our favorite top 10 container houses from around the world. 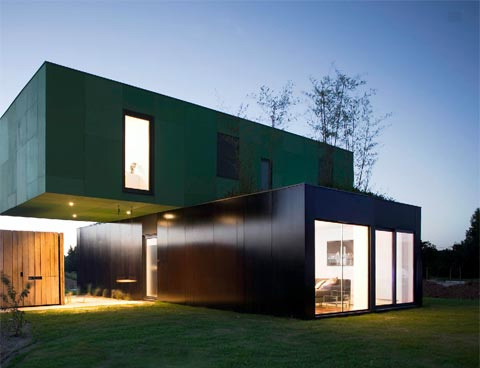 A real point of interest can be found in France in the form of a beautiful cross-shaped family home constructed from four colorful shipping containers. This modern family home in Houston, Texas, features three steel containers—two 40-foot-long modules and one 20-foot-long unit. It’s hard to believe that two long shipping containers, and a prefab living space in the middle, form this wonderful 1,517 sq. ft. house in Nederland, Colorado. 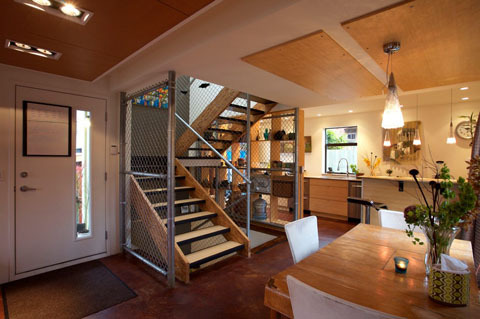 When wood structures and two recycled shipping containers are perfectly combined, a thin line is magically drawn between organic and industrial – just like in this contemporary green home in Savannah, Georgia. 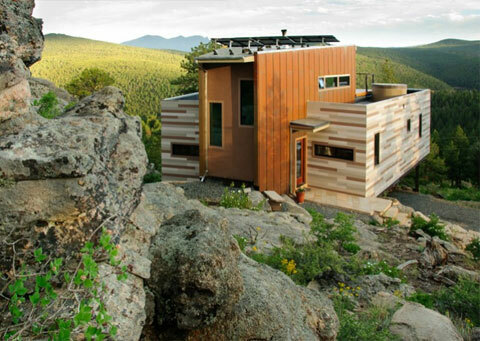 Shipping containers, combined with steel elements found on-site, create this uniquely modern 3,000 sq. ft. home in downtown LA. 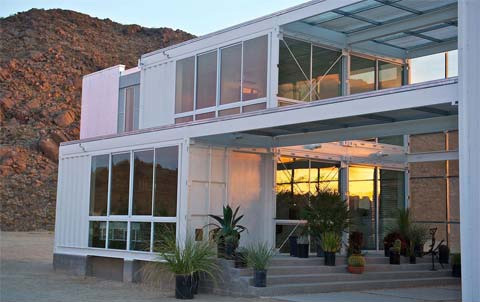 Who would have thought a spacious container home and studio would flourish in the Mojave Desert? Take a look at Tim Palen’s hybrid green machine for living. 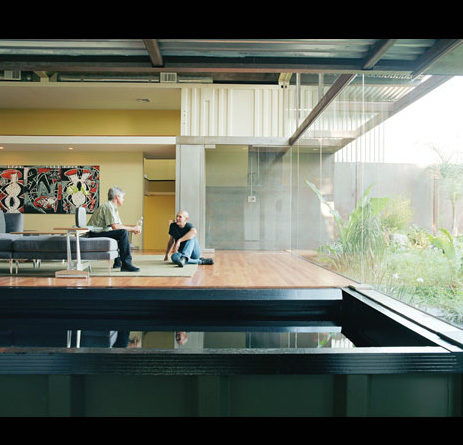 In Sao Jose, Costa Rica, a small house made of recycled shipping containers illustrates how good design can provide modern comfort at a very low budget. The home of industrial designer Debbie Glassberg, in Kansas City, Missouri, is anything but dull. 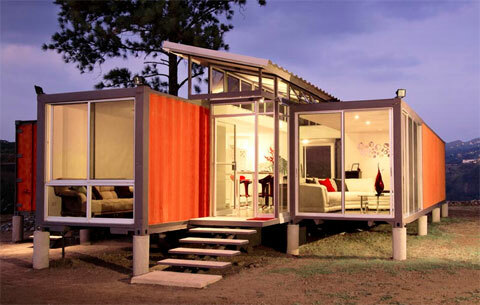 It’s constructed from five metal shipping containers, featuring 2,600 sq. ft. full of color, character and style. 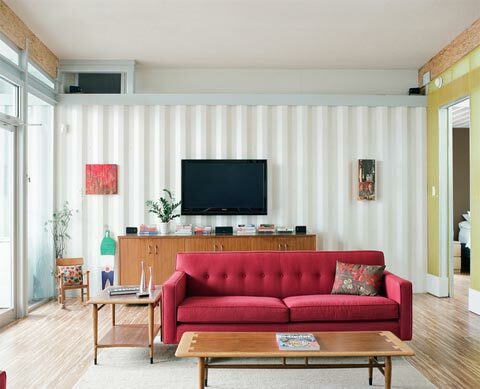 Industrial chic meets modern comfort in Keith Dewey’s three-story container home in Vancouver Island, Canada. In just three days, a 240 sq. 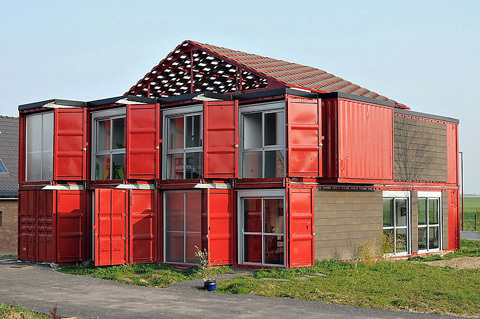 meter house with a contemporary industrial style has been erected in Lille, France, featuring eight recycled shipping containers, 40′ high – all painted red!